Accelerates hoof growth up to 50% & makes them up to 30% stronger. The advanced formula is designed to correct the structure of weakened, dry, damaged hooves by accelerating healthy cell reproduction, which increases hoof growth. 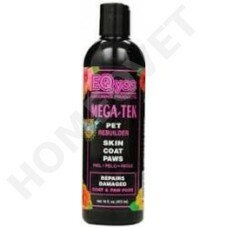 Can be applied to the coat, mane & tail to make them thicker, fuller & healthier. Mega-Tek is a water-based product, it is really easy to use it as a spray by mixing with water. A few times a week on manes, tail and the coat gives great results without the need to wash.
Use a small amount on dry or wet skin, as a rule, 2 or 3 times a week. Daily for sores or skin and hoof problems.